Hozier recently made headlines as his latest album ‘Wasteland, Baby!’ debuted at number one on the Billboard 200 Albums Chart. Many media outlets reported the news with Hot Press explaining that Hozier has become “the fourth Irish artist to reach No. 1 in US”. 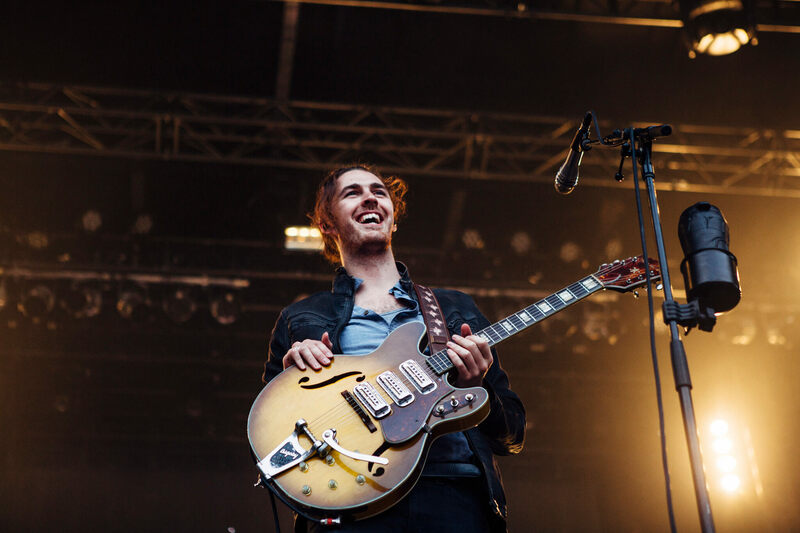 Now Ireland is famous for its musical talents, with the number of artists growing significantly in the last few years, so it came as somewhat of a shock to us at The Circular to hear Hozier was merely one of four Irish artists to achieve Billboard chart success. What are the Billboard charts? The Billboard charts are weekly tables which rank the most popular songs, albums and artists in the US. It’s well known that success for an artist is historically related to being successful in the American market and specific to that is charting in the Billboard Hot 100 or the Billboard 200. Of course, success as an artist is relative and nowadays it is entirely possible to have a long-lasting career without ever having released music in the US. Upon hearing this news The Circular dove into the Billboard Chart archives to discover how the success of Irish artists has changed over time. 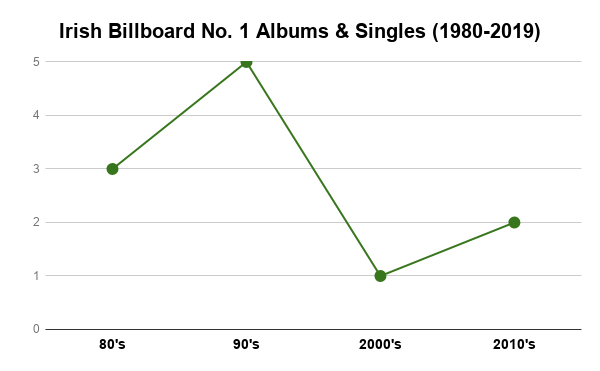 The graph above shows that the height of success for Irish artists in the last 29 years was in the 90’s with four albums reaching the number one spot on the Billboard 200 chart and one single reaching number one in the Hot 100. Interestingly three of the four albums were by U2 with the remaining album and single by Sinead O’Connor. This number dramatically decreased in the 2000s with only one album again by U2 reaching number one. The number has increased in the 2010s with both Niall Horan and Hozier having achieved number ones with their respective albums in the later have of the decade. 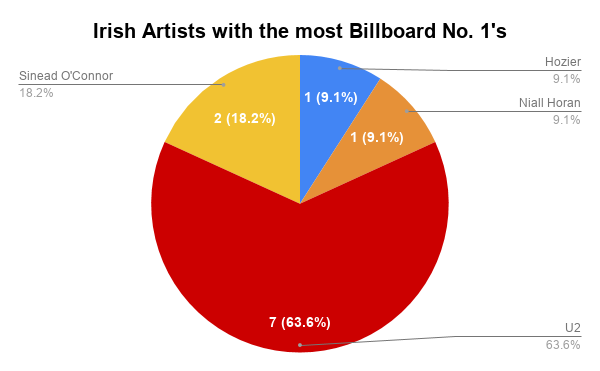 The pie chart above shows that of the four Irish artists to achieve success in the Billboard charts, U2 claim 63.6% of that success. U2’s success is not news. They are arguably Ireland’s most successful musical export and clearly, hugely popular in the US. With the growth of talented artists in the Irish music industry and the increasingly globalised music scene, it wouldn’t be wrong to assume that the number of Irish artists achieving Billboard success is rising. The research shown above, being a fair indication of what is yet to come for the ever evolving Irish music industry.